Two steps forward. Never looking back. We’re here for you now, and always will be. Our new Ohio drug and alcohol rehab center, The Recovery Village Columbus, offers comprehensive addiction treatment led by specialists with heart and know-how. Our Columbus Ohio drug rehab and alcohol detox center provides a full continuum of care. And that rehabilitation doesn’t stop when you leave our facility. What starts here has a ripple effect of lasting results so you can enjoy a life of sobriety. Your recovery starts with a simple phone call. Intake coordinators are ready to guide you toward lasting growth with personalized treatment and caring professionals every step of the way. At The Recovery Village Columbus, we have a simple philosophy: A healthy recovery begins with comfort. You’ll enjoy top-of-the-line amenities, a safe setting and ample privacy. Recovery is incremental. Our Columbus Ohio drug and alcohol rehab programs help you tackle each stage of this process to ensure the best chance for lasting sobriety. Detox: Stage one of addiction recovery. This medically assisted technique is vital, and comes with persistent care. We’ll get through this together. Decide to reside in comfort. 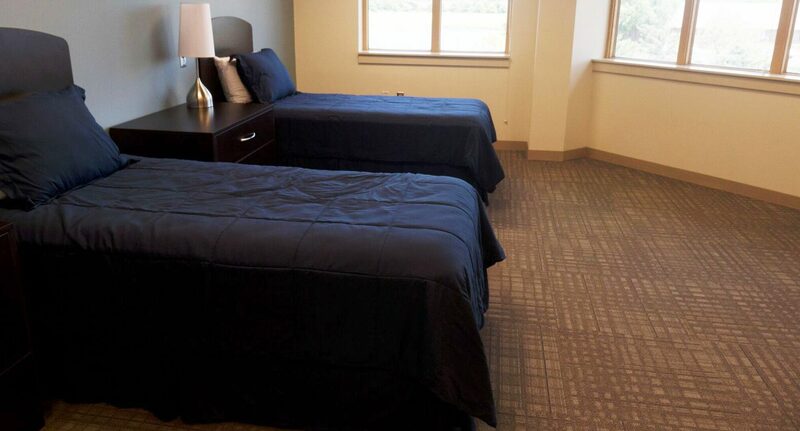 With plenty of space and amenities, our private and semi-private room options make The Recovery Village feel like home during your inpatient drug rehab experience in Columbus Ohio. Following detox and residential care, our Partial Hospitalization Program (PHP) offers onsite housing and staff access 24 hours a day. This is the initial step toward independent living and returning to life outside The Recovery Village. Beyond treatment, recovery is a learning process. This stage functions as a more medically involved form of outpatient care, where you can live on-site or in the community while attending daily appointments and interventions to develop coping skills. Our Columbus outpatient programs offer treatment outside a clinical setting — without compromising accountability and support. Think of it as managing your recovery, not micromanaging your day-to-day life. You deserve care that lasts. Even after you leave. We’ll equip you with tools, training and core skills to make your transition smooth and successful. You Make the Decision. We Take Care of the Rest. Your only job is to focus on recovery. We accept most insurance plans and our staff will work directly with your provider to get the help you need. Located outside Ohio? We’ll help plan the travel logistics to our facility to make sure you arrive safely. From your initial assessment to your arrival, we’ll help craft your unique treatment plan. Drug abuse and addiction have been plaguing the nation for decades, but some states are feeling the effects more than others. Ohio is one of them. In 2017, Montgomery County led the nation in overdose deaths. The opioid fentanyl has been a major contributor to these deaths. It drove another record year of Ohio overdose deaths, also in 2017. Drug addiction can be a very serious and costly condition, affecting more than just the person caught in its grip. The good news is, there are many outpatient and inpatient drug rehab centers in Ohio and throughout the country that can help. Although the state offers many options for substance abuse treatment, not every drug rehab center is exactly alike. Not all facilities offer the same levels of care or the same types of treatment. It’s important to first determine your specific needs before making a decision. The Recovery Village is staffed with intake coordinators around the clock who can help you with this assessment. They can also answer any questions you have and give you information about our drug treatment center near Columbus. Whether you live near our center or not, our staff can help arrange your travel plans to ensure a smooth, safe arrival and departure. 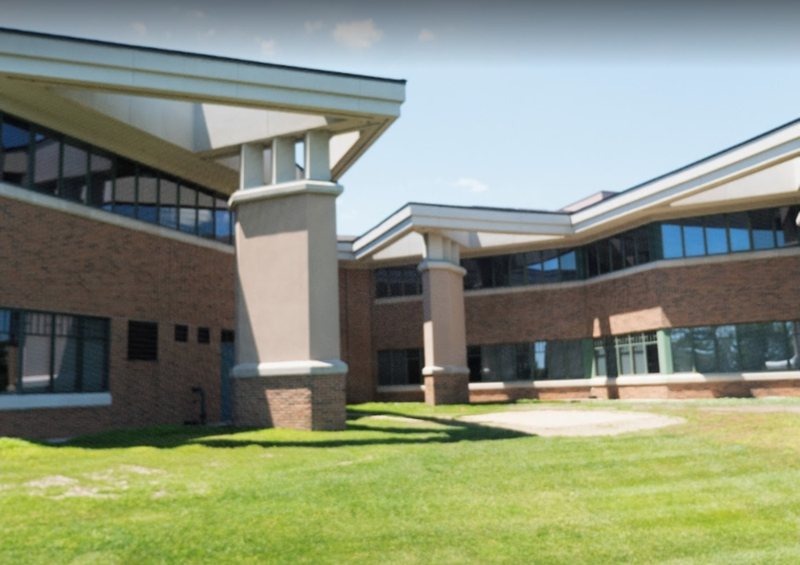 As a drug treatment center, The Recovery Village Columbus offers various levels of care for drug addiction, ranging from medical detox to intensive outpatient care. We also offer treatment for co-occurring disorders, such as depression and anxiety. Regardless of what drug(s) you’re struggling with or how long you’ve been living addiction, our comprehensive treatment options can be customized to meet your specific needs. Because we place a strong emphasis on a full continuum of care, we provide you with resources even after your treatment. Our goal is not only to treat you, but to help you transition back to your life in the healthiest way possible, and stay in recovery. Call today to find out if The Recovery Village Columbus is for you. Calls are free and completely confidential, and there’s no obligation to enroll in a program. So whether you’re ready to begin receiving treatment at a drug rehab center or you just need a listening ear, we’re here for you 24 hours a day, seven days a week. You can life a live that isn’t ruled by addiction. The first step is making the call. We’re here for you. Alcohol is one of the most commonly abused substances in the United States. It’s also involved in thousands of deaths every year. More specifically, an estimated 88,000 people die from alcohol-related causes every year, making alcohol the third leading preventable cause of death in the country. Because alcohol is legal and so easily accessible, it can lead to abuse and addiction for more people and age groups than other substances. According to the 2015 National Survey on Drug Use and Health, an estimated 623,000 adolescents ages 12–17 (2.5 percent of this age group) had an alcohol use disorder (AUD). The National Institute on Alcohol Abuse and Alcoholism defines an AUD as a chronic relapsing brain disease characterized by an impaired ability to stop or control alcohol despite unfavorable consequences. The Recovery Village Columbus is just one of many alcohol treatment centers in the country that’s fighting to lower these numbers. 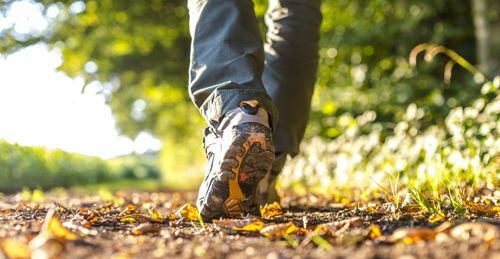 As an alcohol treatment center and drug rehab center, The Recovery Village Columbus offers inpatient and outpatient treatment programs for men and women. Because we know that no two cases of alcoholism are exactly alike, we personalize our treatment plans to meet the specific needs of every client. However, treatment typically begins with medical detox, which is administered and supervised by medical professionals. These professionals are trained to safely administer treatment with consideration to withdrawal symptoms that are often associated with the cessation of alcohol consumption. After medical detox is completed, clients step down to inpatient care, partial hospitalization and outpatient care. Clients may spend all or part of their time at our facility for treatment, depending on what level of care they’re on. We offer a full continuum of care for alcoholism, and we’re committed to seeing clients through their recovery, even after they graduate from our facility. This is why we offer aftercare options and make recommendations, including Alcoholics Anonymous (AA) meetings and other therapy sessions. If you’re struggling with alcoholism, call The Recovery Village Columbus, your comprehensive Ohio alcohol treatment center. One of our intake coordinators can speak with you to determine the best program to meet your needs. They can also answer any questions you have about travel and insurance coverage. Alcohol has the power to cripple a person’s life in many ways or even claim it. But with just one phone call, you can begin to regain the upper hand, and be one step closer to sobriety and recovery. Lines are open 24 hours a day, seven days a week.